This modern detached chalet style home offers three bedrooms with an ensuite to the master as well as a large lounge a generous size kitchen/diner and living room. 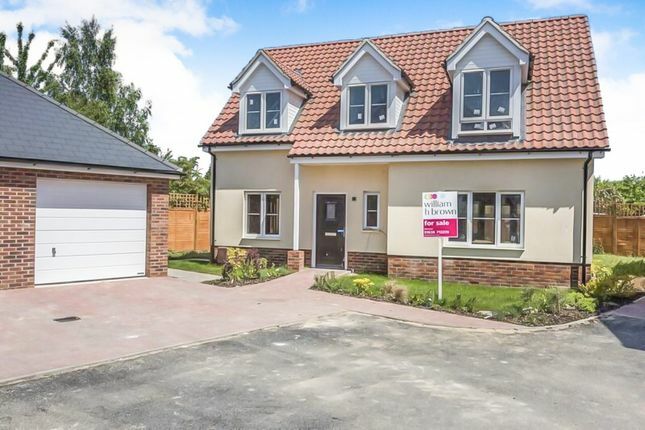 A stylish detached three bedroom chalet home. The Cowslip offers generous living accommodation comprising of a large lounge, generous size kitchen/diner, cloakroom, three bedrooms and an ensuite to the master. There is a generous size fully enclosed generous size rear garden as well as a garage and off street parking. The property is situated in the village of West Row which is close to the town amenities of Mildenhall. This property is available with help to buy! The property has been built brand new and offers air source heating. This large kitchen/dinerhas space for fridge/freezer, dishwasher and washing machine. Photos used of property similar to type. Property descriptions and related information displayed on this page, with the exclusion of Running Costs data, are marketing materials provided by William H Brown - Mildenhall, and do not constitute property particulars. Please contact William H Brown - Mildenhall for full details and further information. The Running Costs data displayed on this page are provided by PrimeLocation to give an indication of potential running costs based on various data sources. PrimeLocation does not warrant or accept any responsibility for the accuracy or completeness of the property descriptions, related information or Running Costs data provided here.